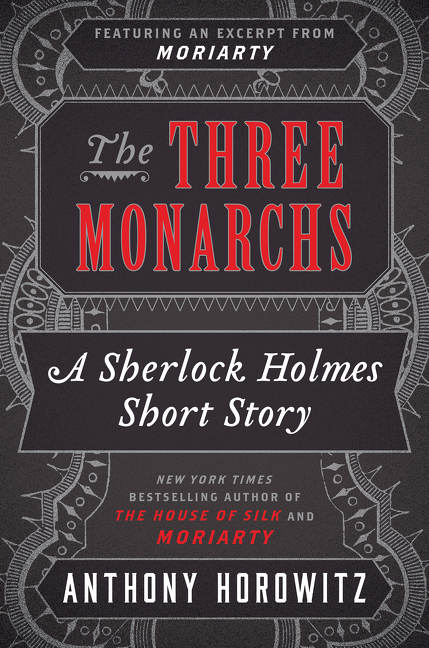 This original Sherlock Holmes short story by House of Silk author Anthony Horowitz was released as an eBook in 2014. In this e-original short story, Sherlock Holmes and James Watson come together once again to uncover the motive behind a robbery gone awry. When an elderly man shoots an intruder he finds in his home, it seems like a clear case of self-defense. What’s not so clear is why the robber was there. His bag contains no silver or jewelry­—only three crude ceramic figurines of Queen Victoria which were mass-produced for her Golden Jubilee. When two of the figurines are traced to other houses on the same street, it’s Sherlock Holmes who sees the key to unlock the mystery.